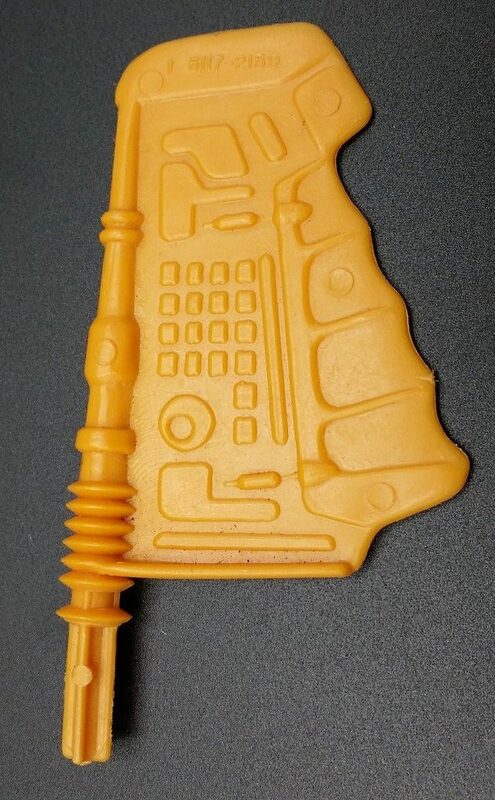 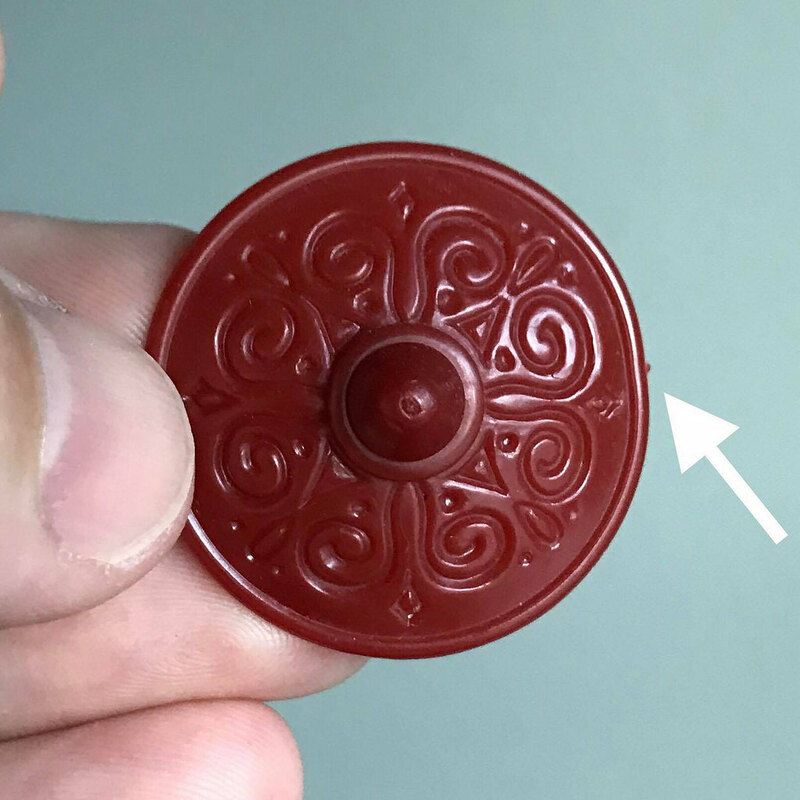 Nice job, love the details like this. 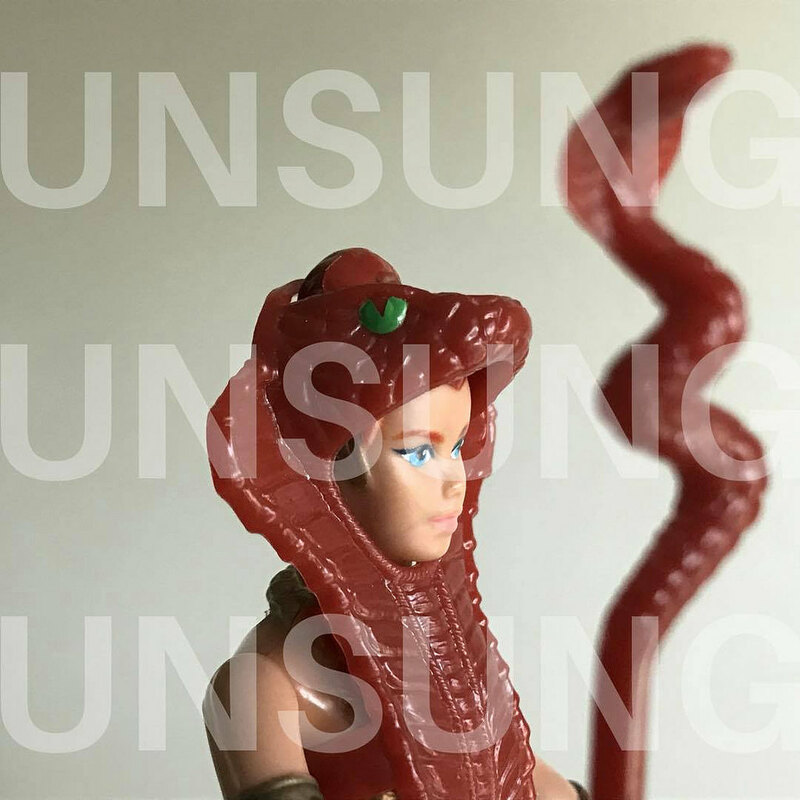 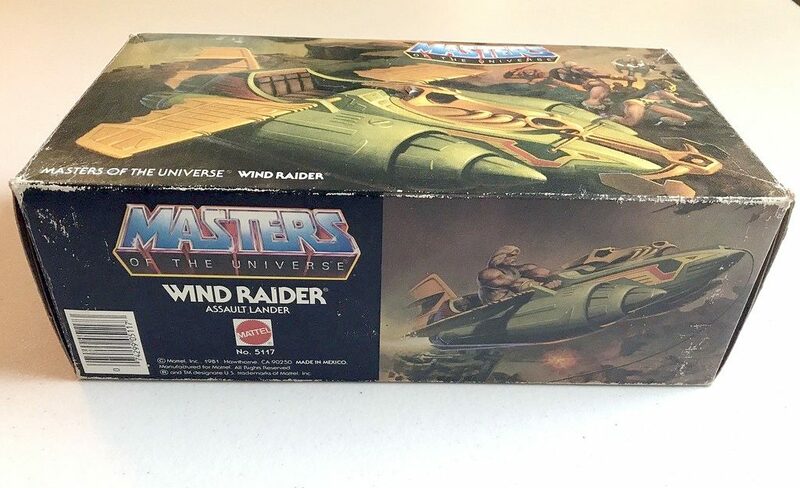 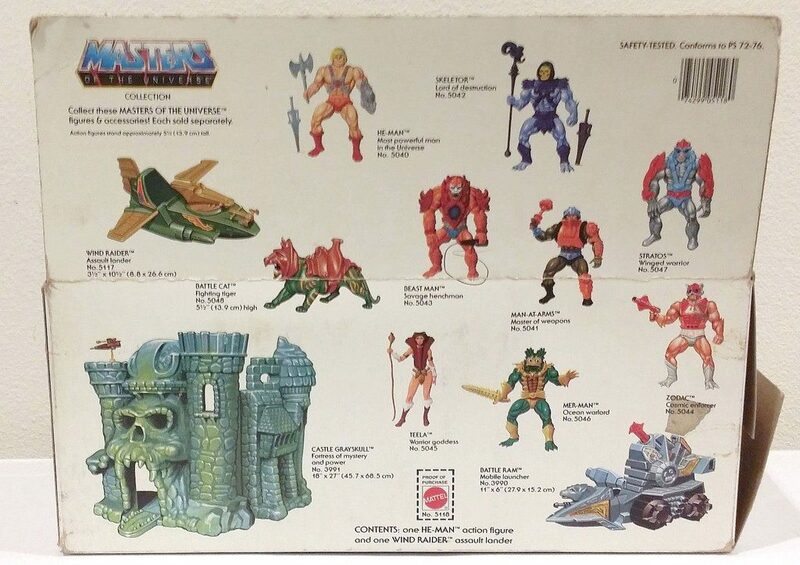 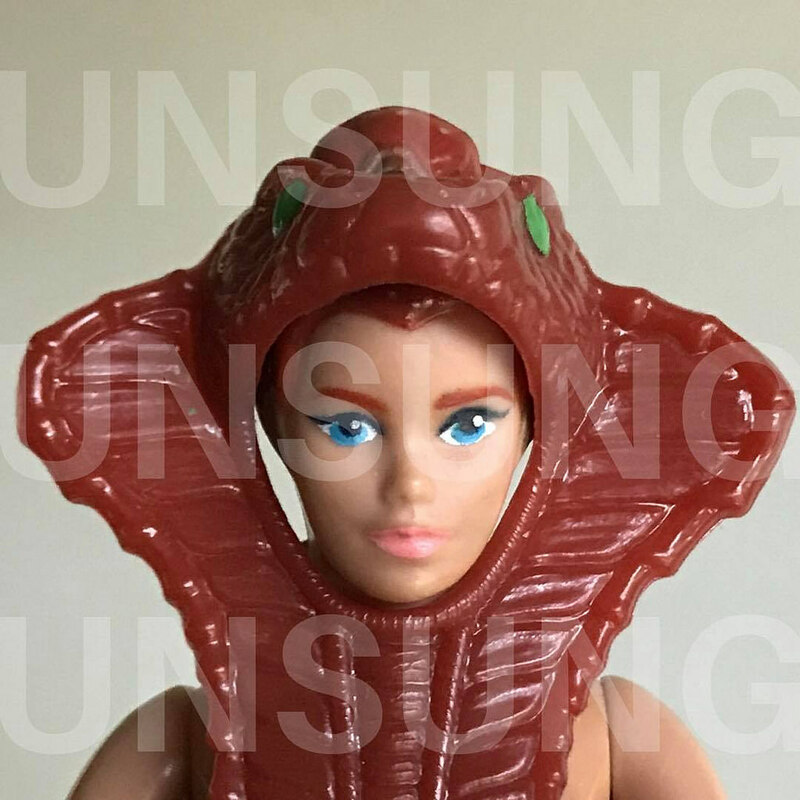 Reading things like this makes me really kick myself – about 15-20 years ago now, I collected a complete line of the vintage figures (in fact, near enough two complete lines), with only the ultra rare giants and the laser lights figures missing. 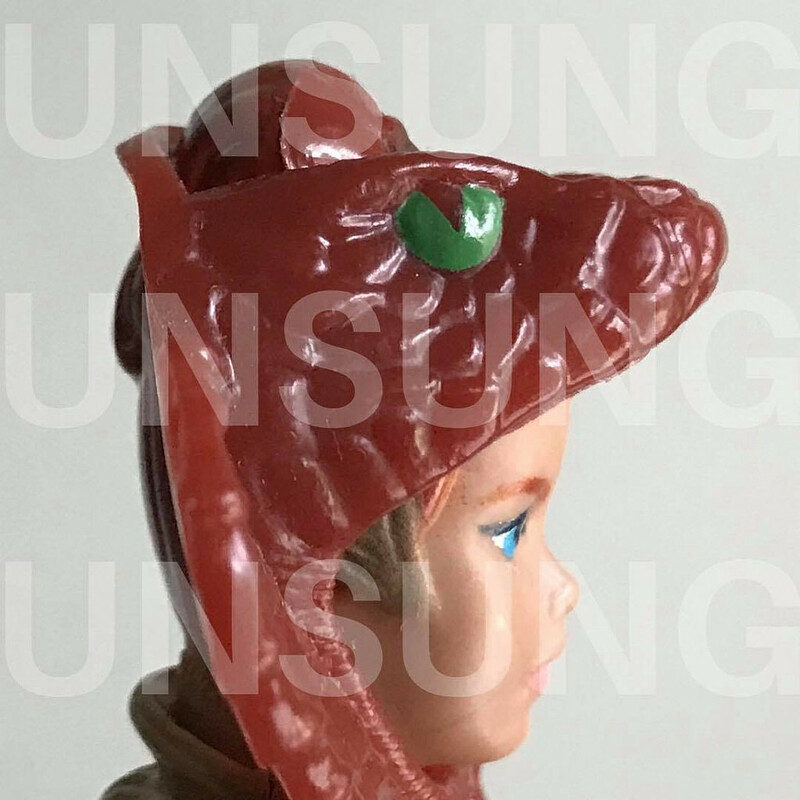 Anyway, this meant buying up MANY large lots on ebay (before their price had filly gone astronomical) and by which means, I did gain a number of very subtle variants. 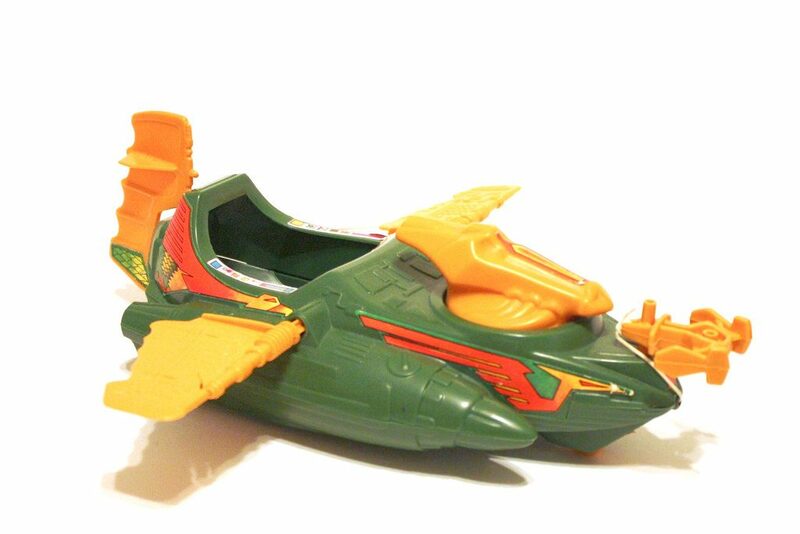 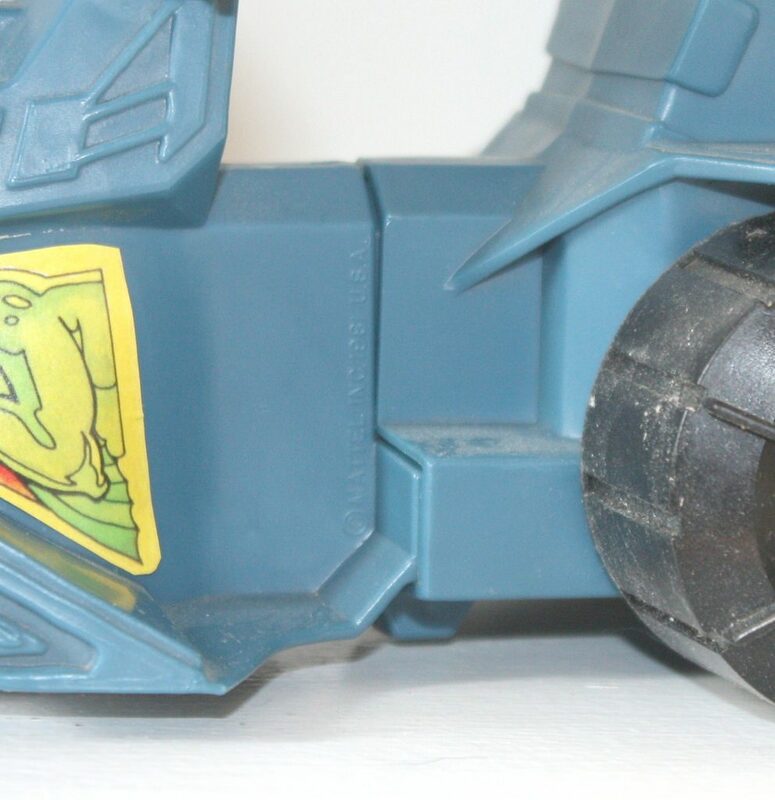 For example, I had the quite rare early Zodak with alternate latch design on his armor! 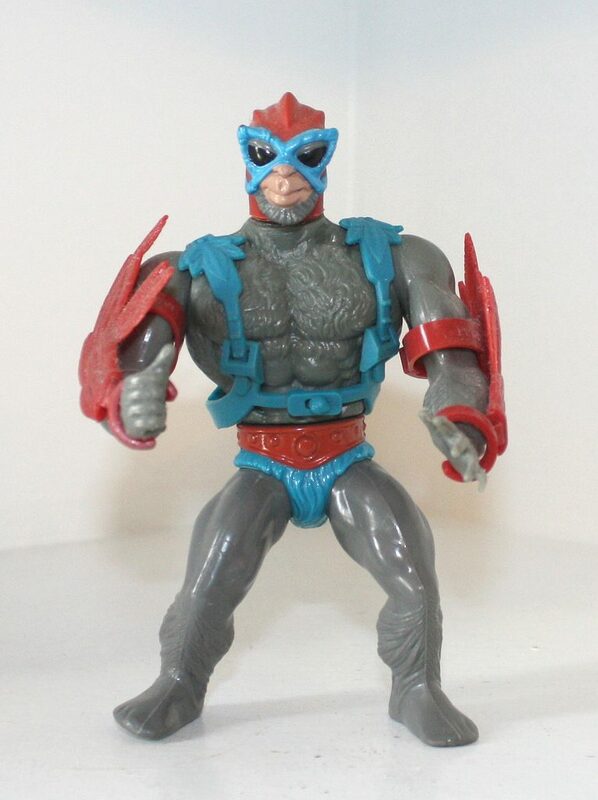 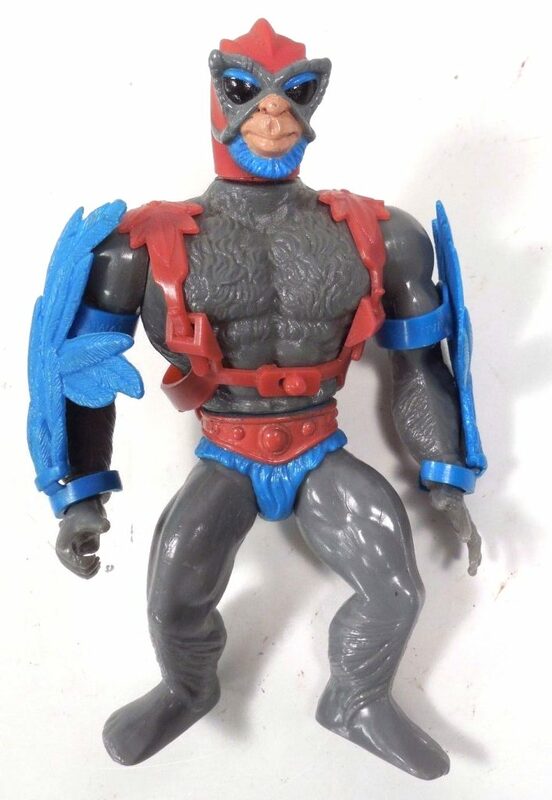 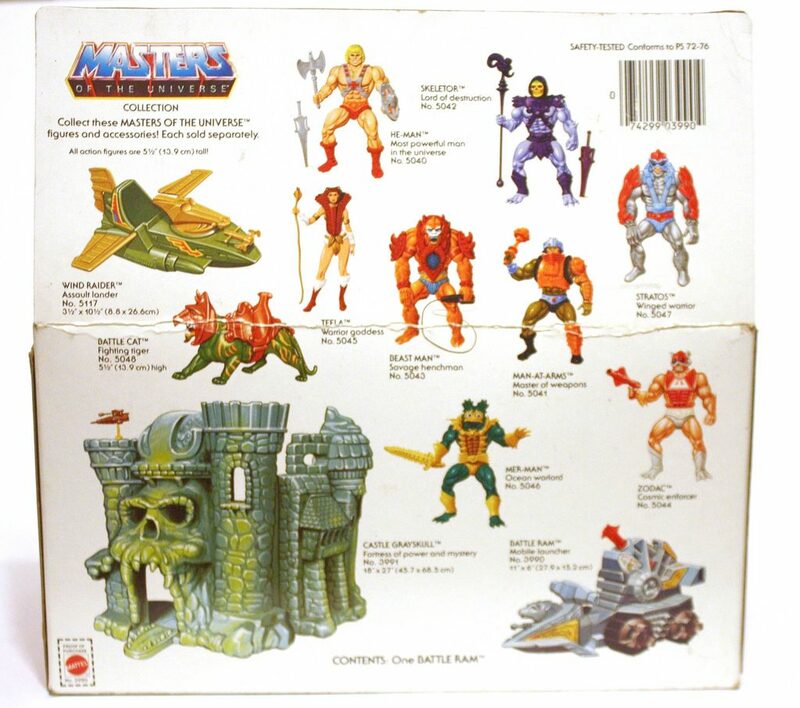 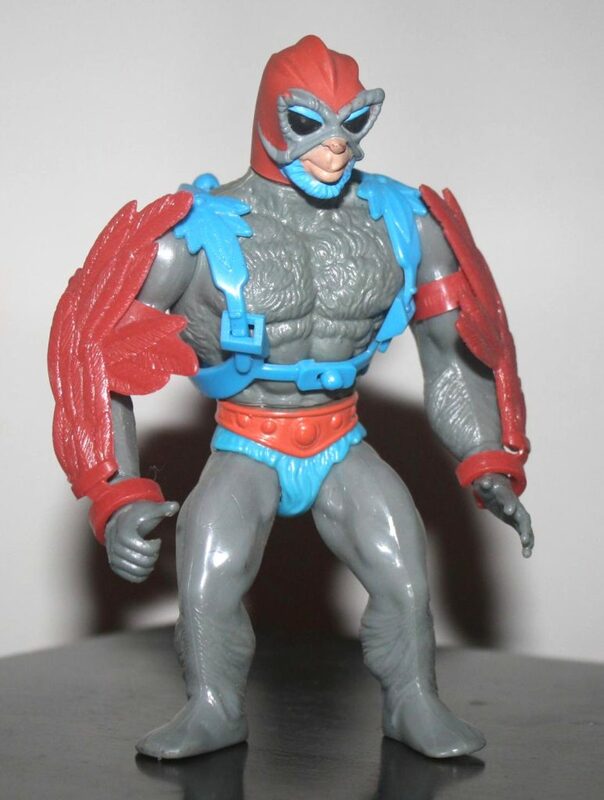 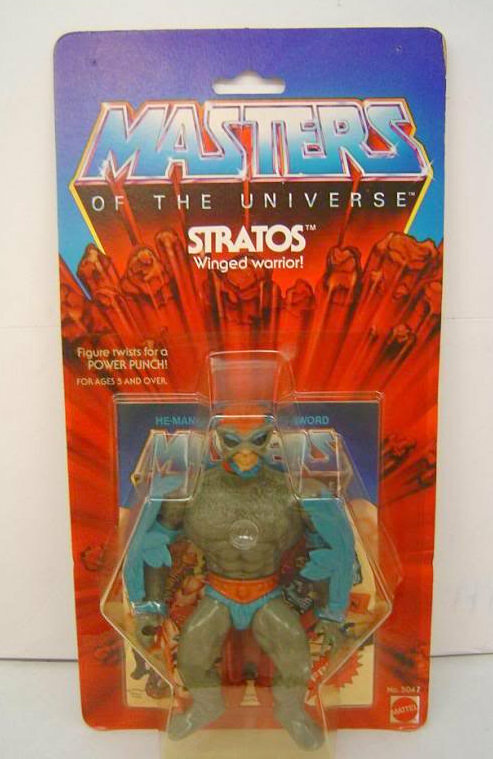 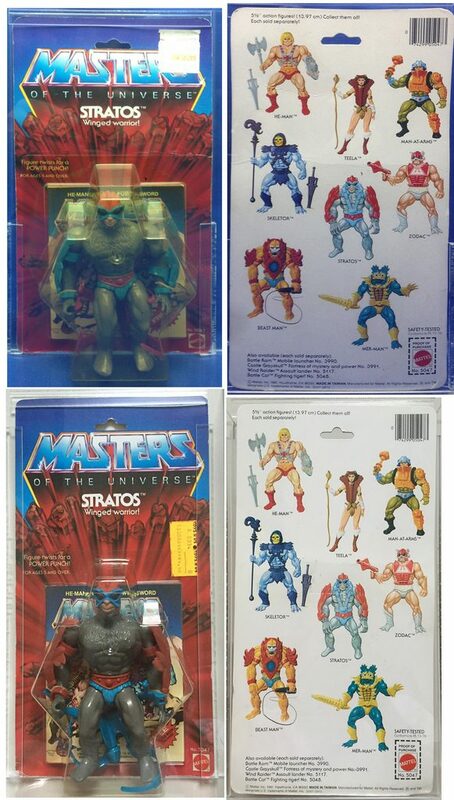 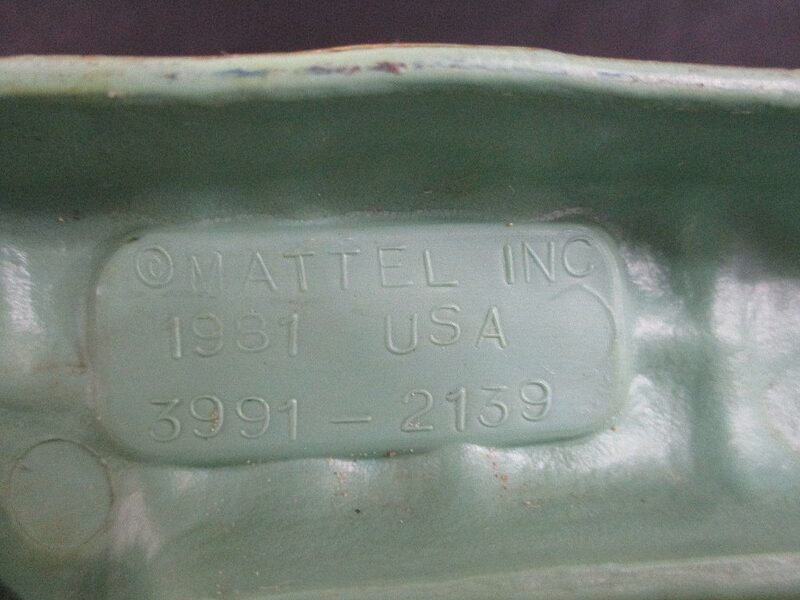 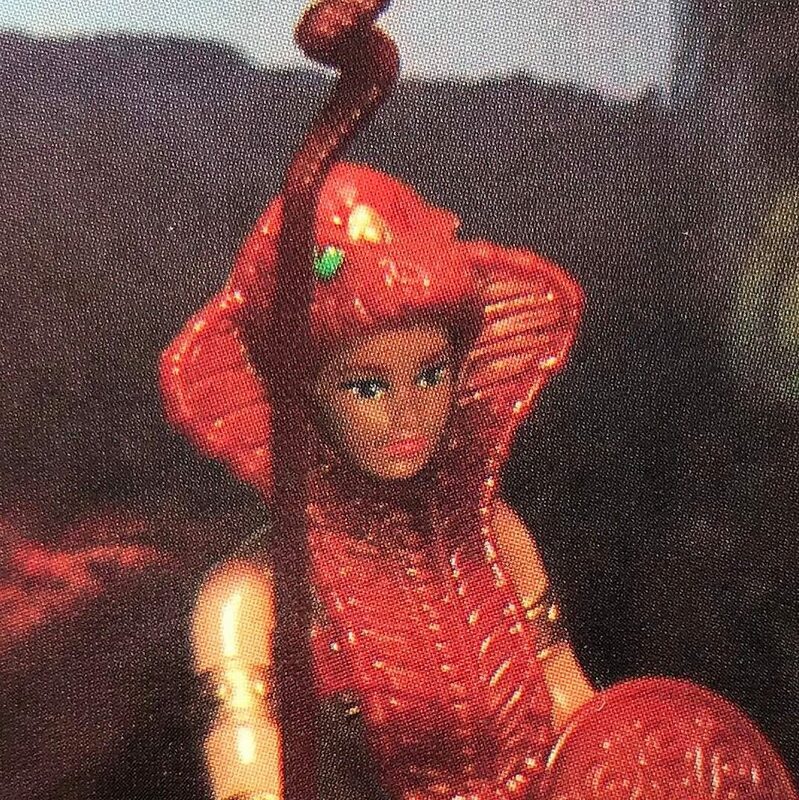 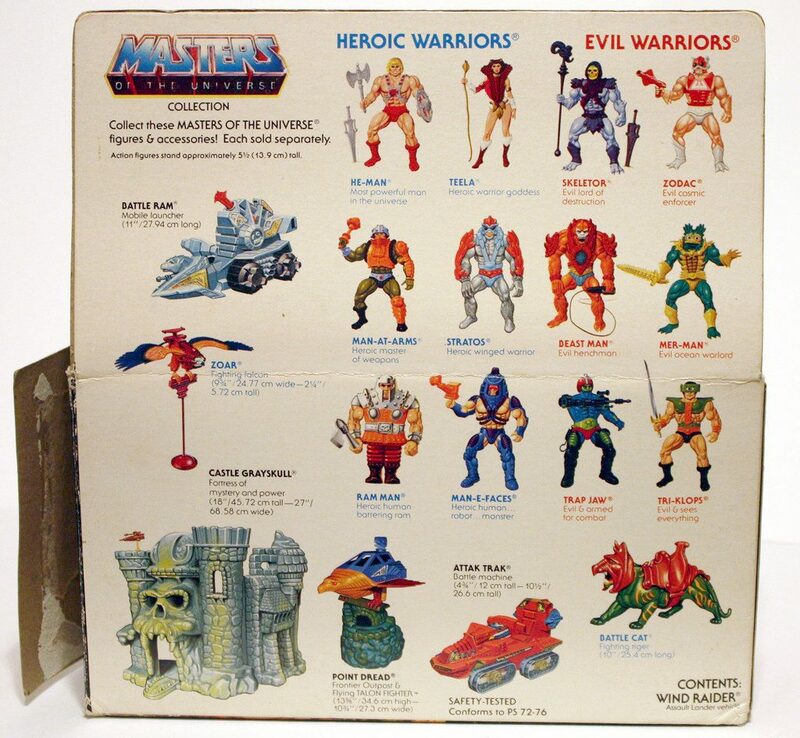 Sadly, although the MOTU fan community was already well active on-line by that point, such intricate production variants hadn’t really yet been logged or even discovered, and so I know for a fact I let several of those early production variants (including that version of Zodak) go without knowing their worth, slowly selling on my duplicates to save space and fund my collecting of the line! 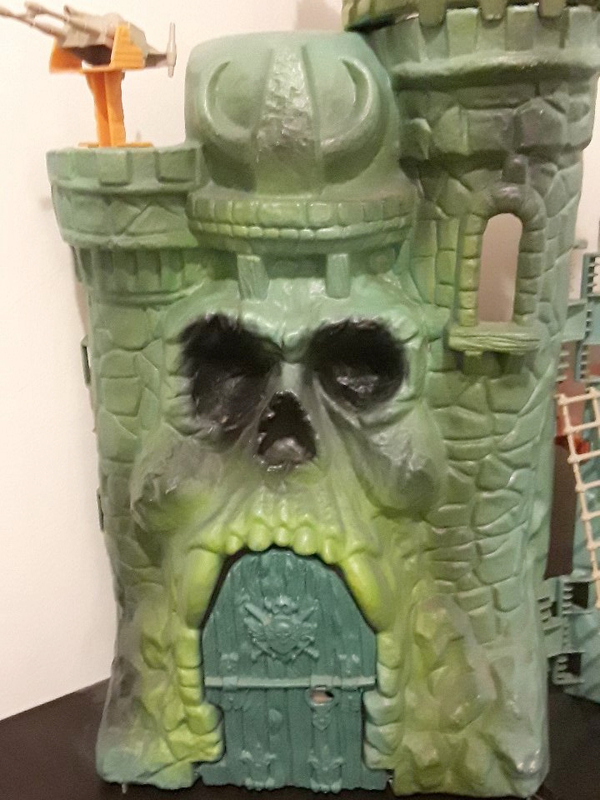 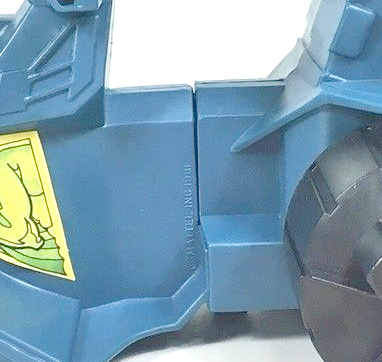 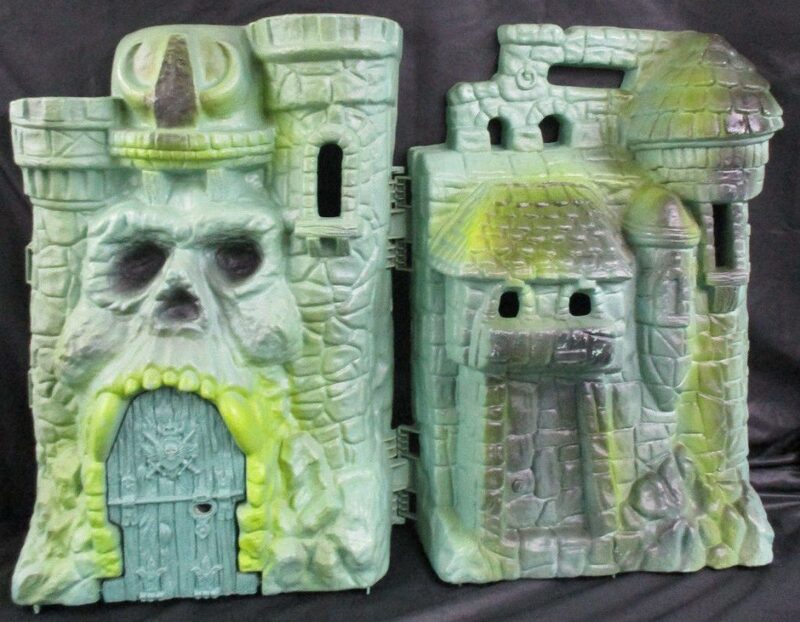 Also, I know the varying paintwork on Castle Grayskull has been covered on it’s own entry on this blog, but looking at that photo of the very early production run Grayskull there really shows what a difference paint apps can make – I love it’s more ‘sunken’ eyes, making it look more piercing and sinister without all the heavy black all over. 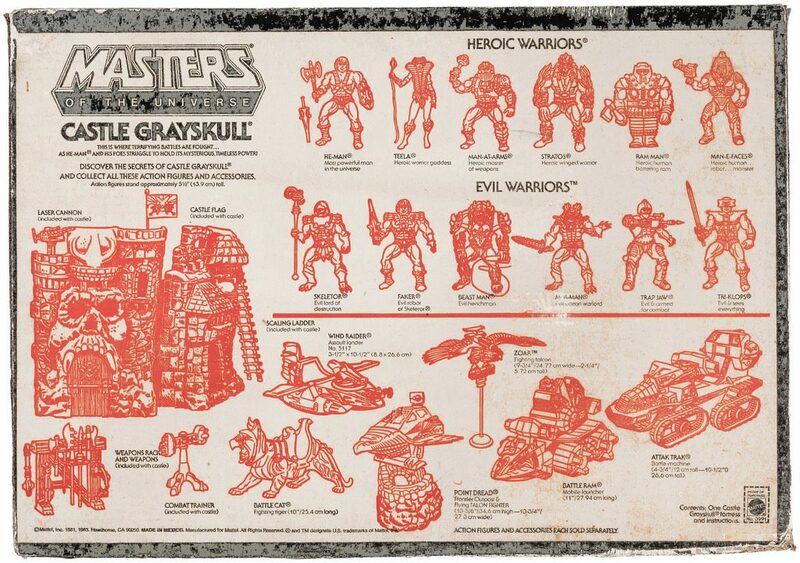 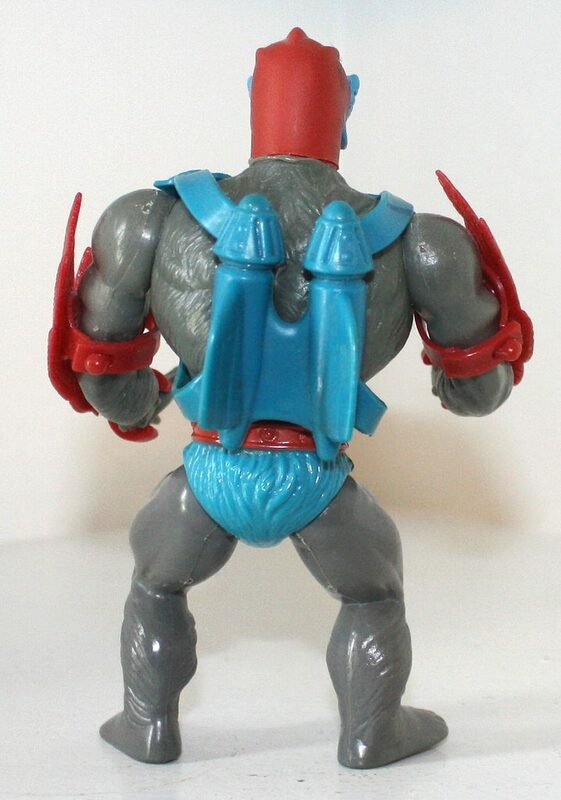 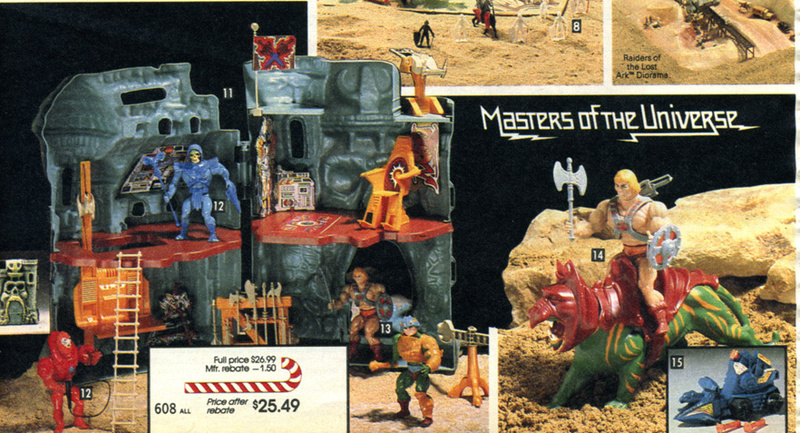 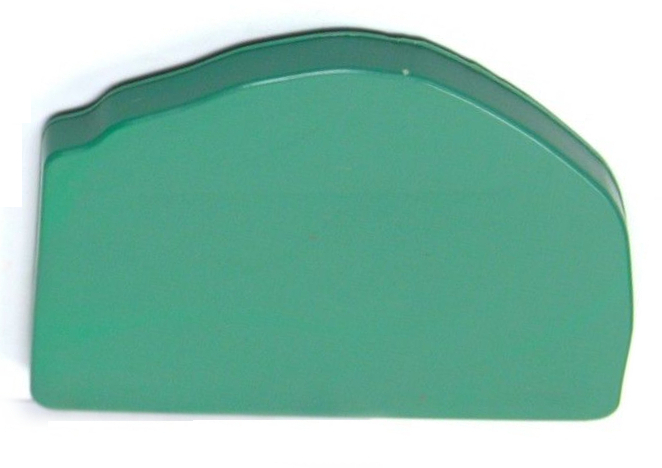 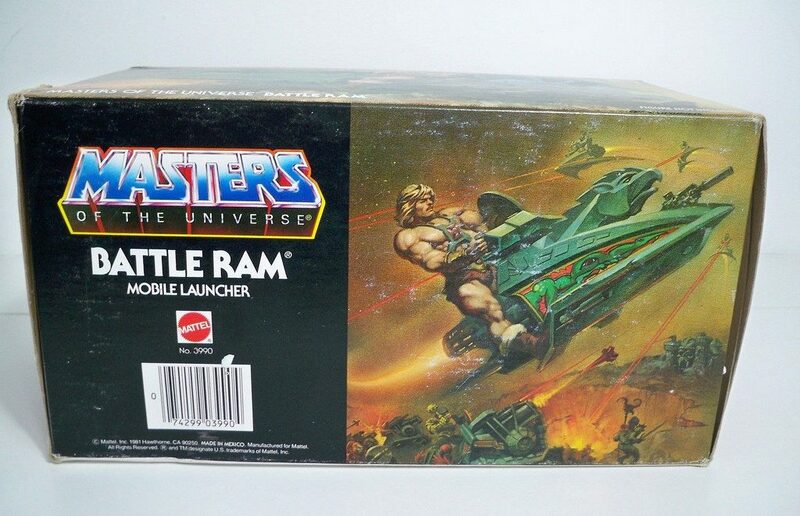 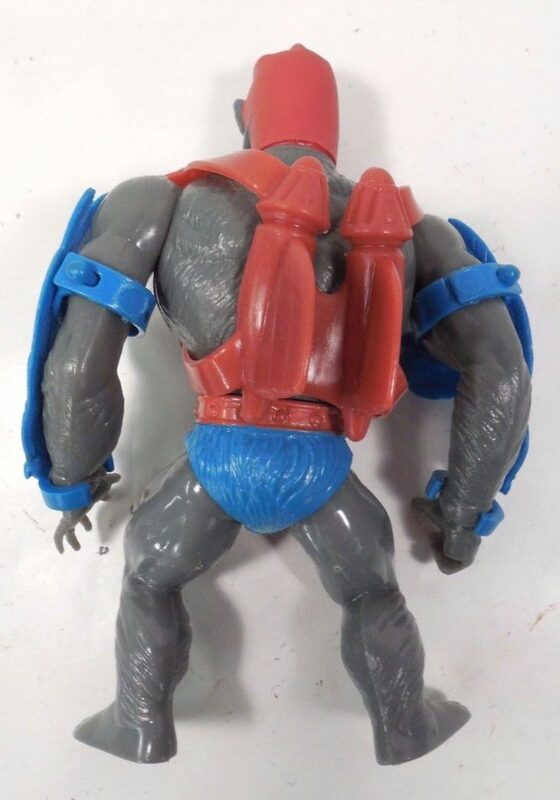 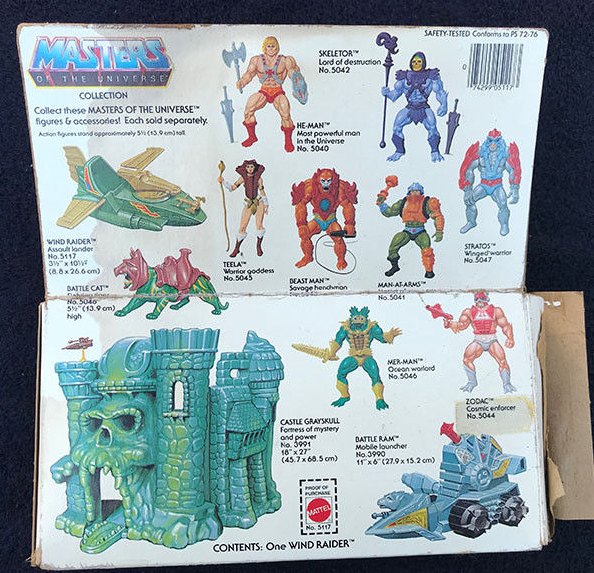 My childhood version of Grayskull (which I still have) looks similar to the second version shown (I’m assuming yours, Battleram) but with more black shading around the base on the “rocks” around the jawbridge and on the rear section. 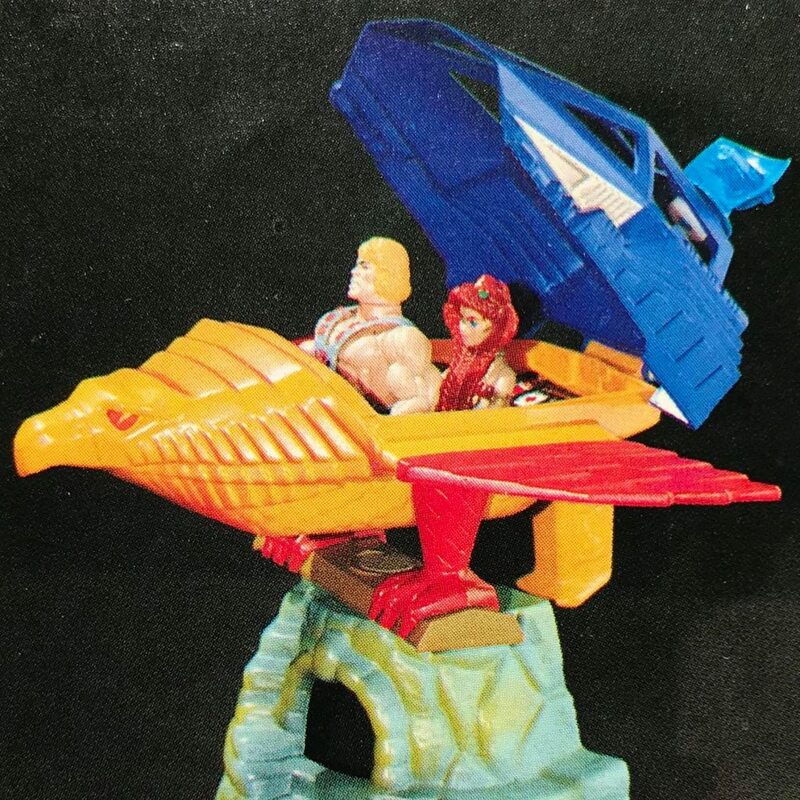 I remember as the years went on the paint jobs got increasingly sloppy, and often losing some of the striking features of the sculpt as a result. 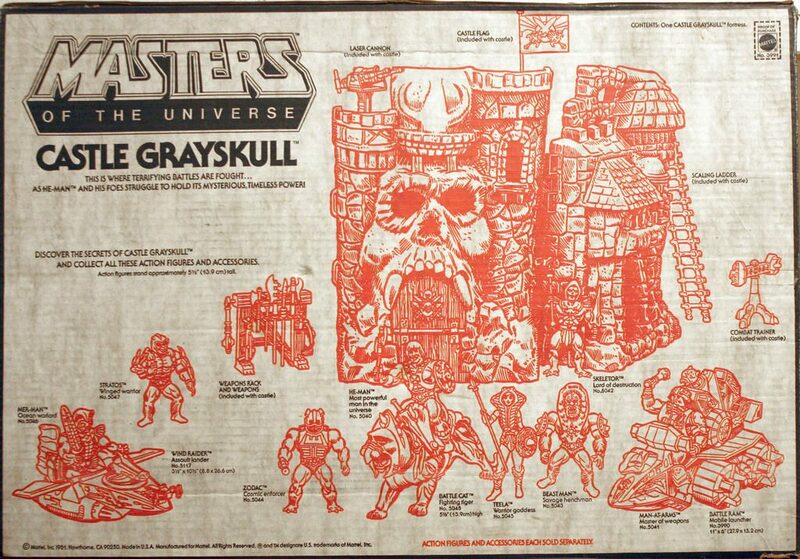 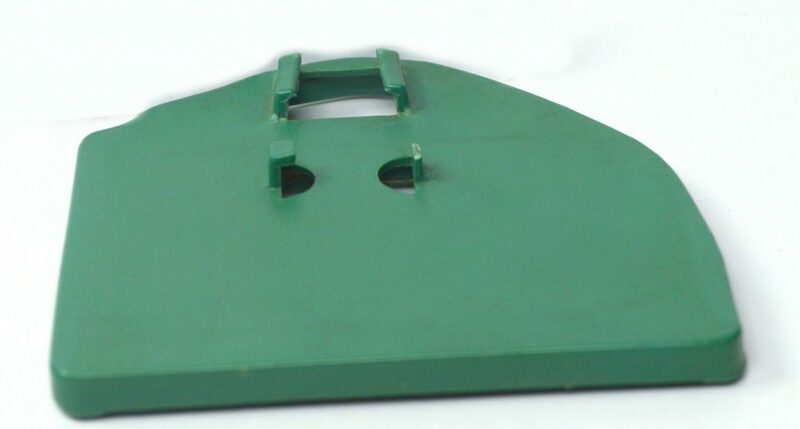 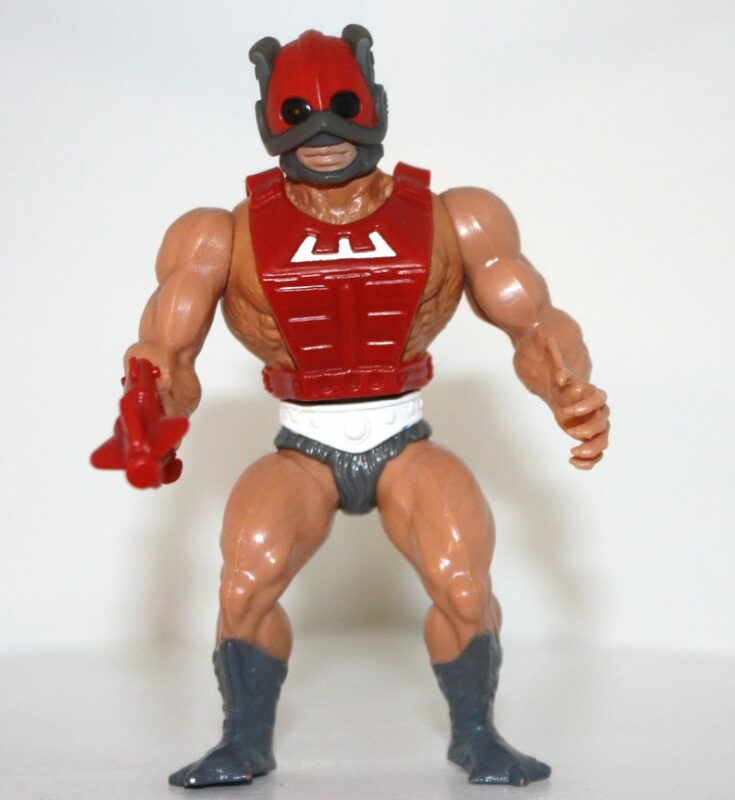 I remember a childhood friend of mine who lived a few houses away had a Grayskull that we used to call Mister T, as it had a strong black stripe right over the top of it’s head (akin to Mister T’s mohwak). 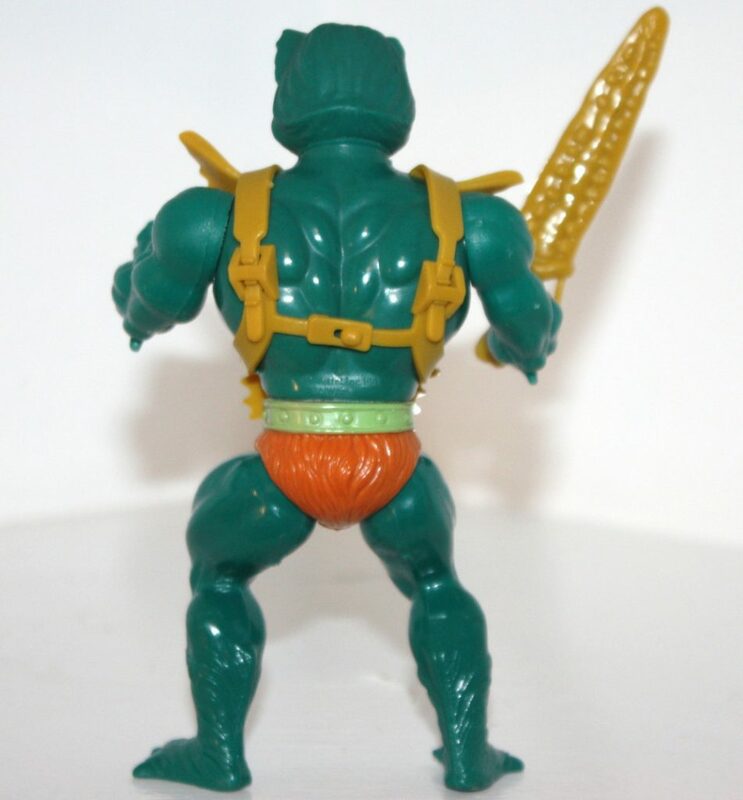 One possible early production variant that has been nagging me for a few years is Mer Man’s sword. 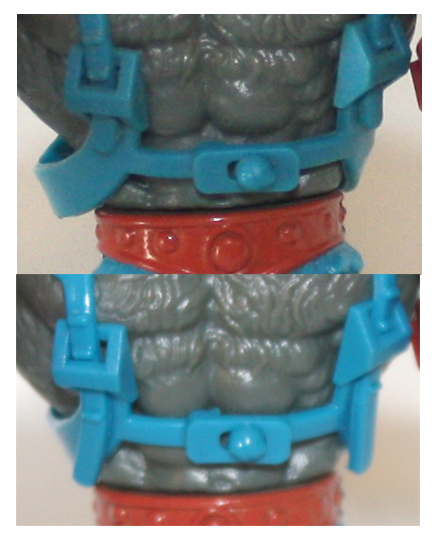 I know the vibrancy of the yellow can vary on different example of his accessories over the years (one example I had of the figure had near mustard coloured accessories), but I vaguely recall that some early productions of his sword may have had a extra paint detailing, a sort of light black wash to bring out the sculpt detailing in the crevices of the sword. 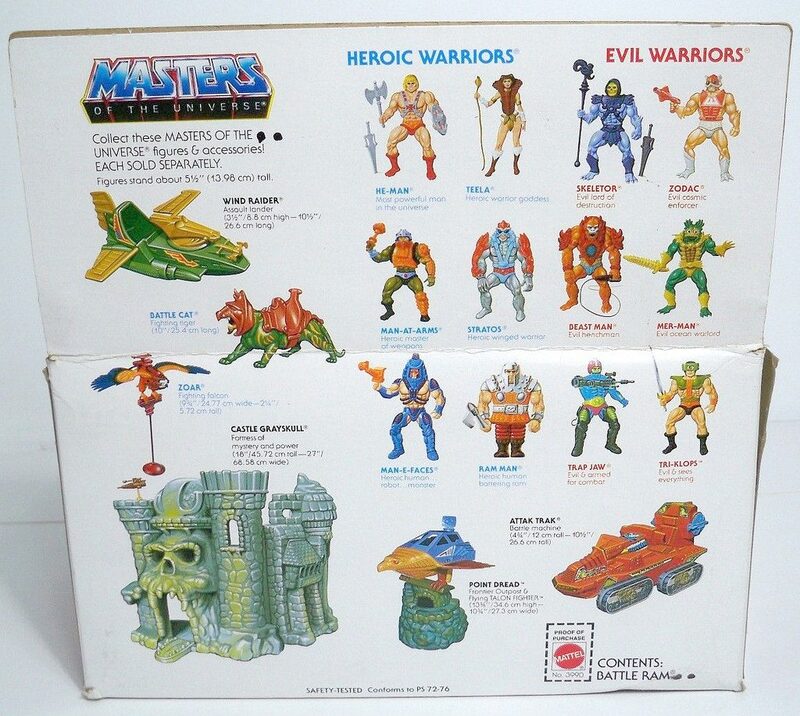 I’ve tried to read up on this a couple of times and have found nothing; wondering it is actually just my memory playing tricks. 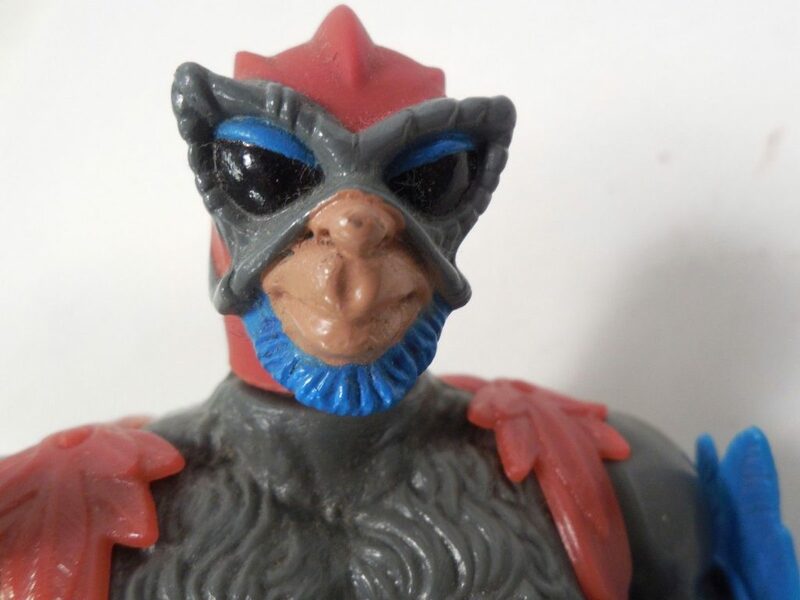 If it helps, the first release Zodac isn’t particularly hard to acquire. 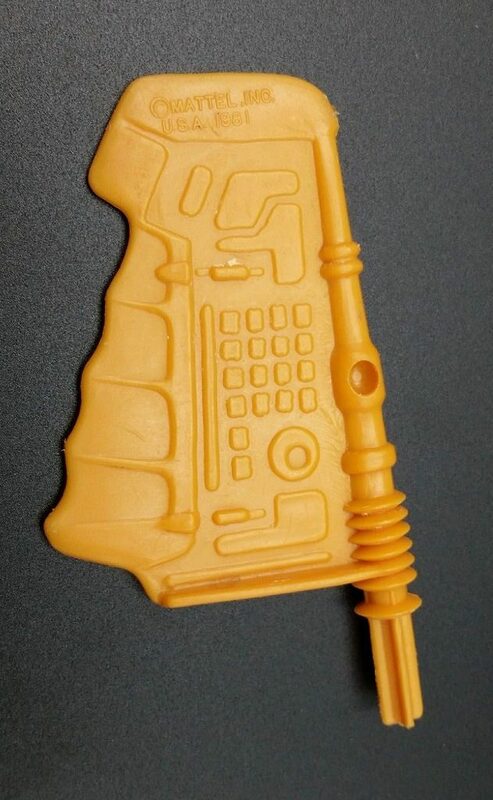 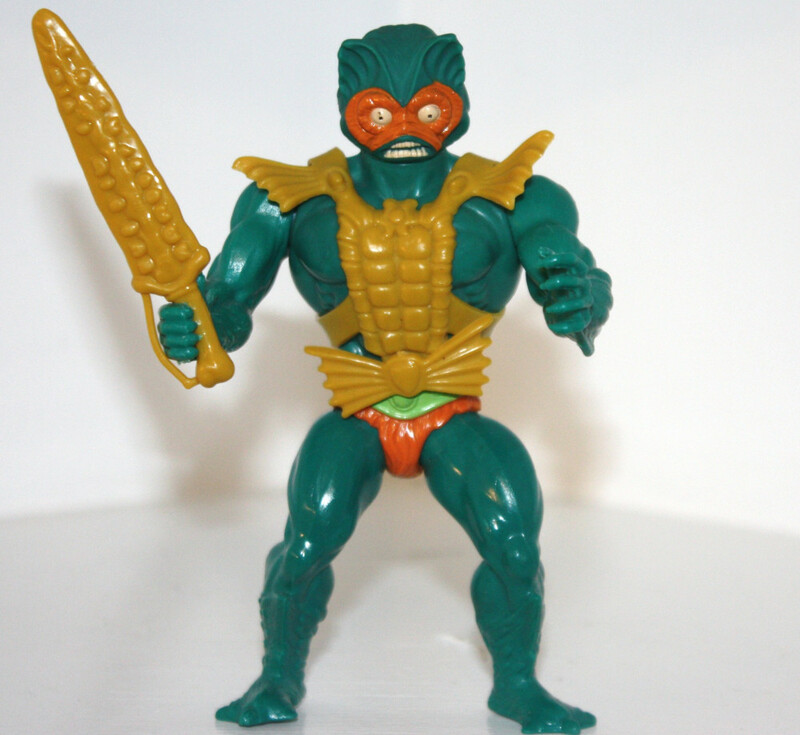 I haven’t heard of a Mer-Man sword that had a black wash. 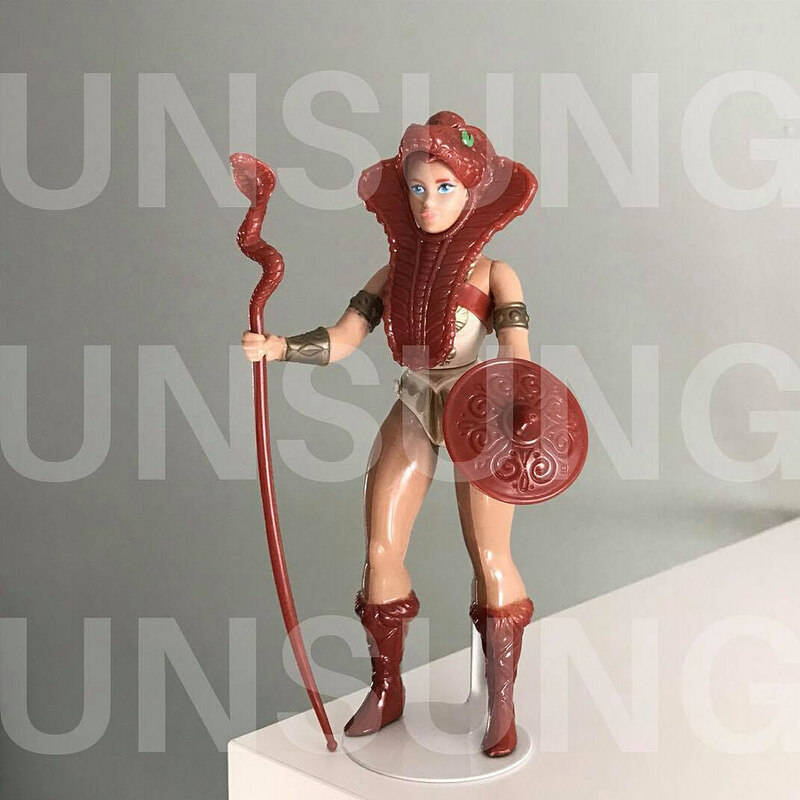 I do think that the early ones had a darker yellow accessories, but I need to see a direct comparison to be sure. 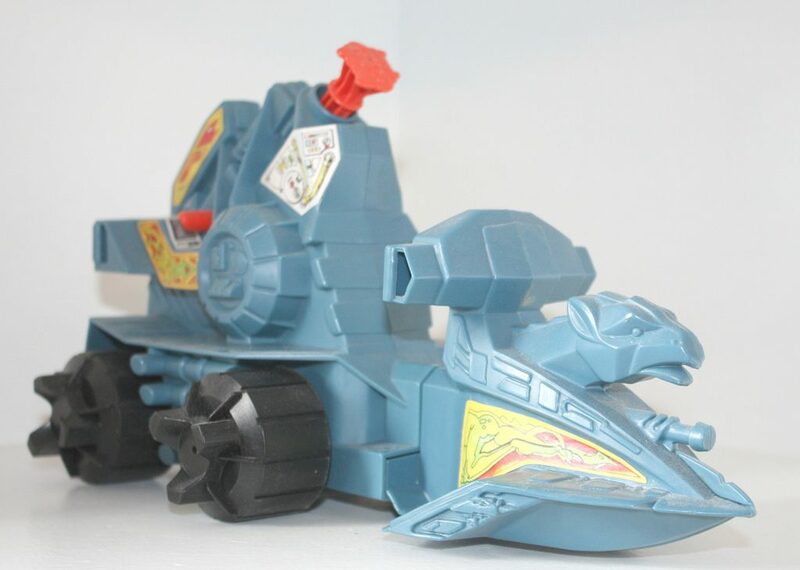 I just have the early one.